Prior to founding Warren Larkin Associates in 2017, Warren was a successful Clinical Network Director, responsible for Children and Families Services across Lancashire. With a budget of around 50m and a workforce of circa 1300 staff, Warren was responsible for quality of care and accountable for service delivery. He has extensive experience of leading transformational change and turnaround as well as developing leadership capacity and capability in complex organisational contexts. 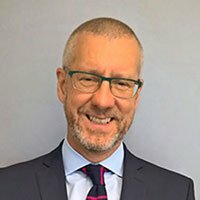 Warren is a Consultant Clinical Psychologist and is also Visiting Professor at Sunderland University where he is working with the Faculties of Public and Population Health and Mental Health to develop their research programme and training curricula for Public Health and Mental Health professionals. Warren is the Clinical Lead for the Department of Health Adverse Childhood Experiences. He has a long-standing interest in the relationships between childhood adversity and outcomes later in life. He has done most of his clinical work in specialist early intervention services with service users who are experiencing psychosis. He has published numerous research articles on the topic of trauma and psychosis and published an edited book in 2006 (now commissioned for a second edition) exploring this theme. Warren led one of the two national IAPT (increasing access to psychological therapies) demonstration sites for Psychosis and was a member of the Children and Young People’s Mental Health Services National Task Force. Warren developed the routine enquiry about adversity in childhood approach as a way of assisting organisations to become more trauma-informed and to support professionals to ask routinely about adversity in their everyday practice.